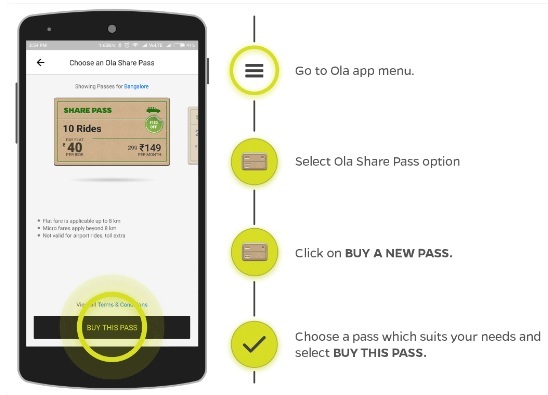 Ola Cabs Is No Offering Great Offer On Ola Share Passes Where Riders Buy Ola Share Passes At Rs 1 At Rs 1 Only For Bangalore And Rs 10 For Delhi. Only 10,000 Passes Are Up For Sale Each Day. No Code Required. Follow Below Mention Steps To Grab This Offer. Share Pass brings increased predictability and convenience to your everyday travel. With Ola Share Pass,you enjoy flat fixed fares on your Share rides without peak pricing irrespective of time and day.